BARCELONA, SPAIN - FEBRUARY 10: La Sagrada Familia - The Impressive Cathedral Designed By Gaudi, Which Is Being Build Since 19 March 1882 And Is Not Finished Yet February 10, 2016 In Barcelona, Spain. Royalty Free Fotografie A Reklamní Fotografie. Image 53090282. 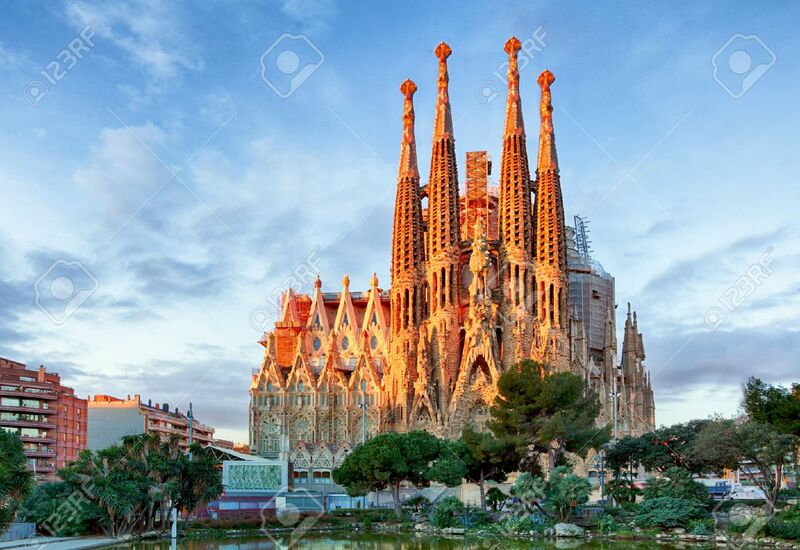 Reklamní fotografie - BARCELONA, SPAIN - FEBRUARY 10: La Sagrada Familia - the impressive cathedral designed by Gaudi, which is being build since 19 March 1882 and is not finished yet February 10, 2016 in Barcelona, Spain.